"As the sun quickly ducked below the horizon, the darkness of the night hushed the nature held captive by the haunted land's worn road...The luminous eye of the night tauntingly winked from behind the single dusty gray cloud. The murky miasma hung on haunches in front of the moon like a sinister sentry. As I stared back at it, the cloud slowly wrapped itself around the cold satellite like an ethereal scarf. Just then, as if sensing my arrival, the wind violently lashed out at my vehicle..."
However, that's simply not how it happened. The sun was perched playfully in the sky, the birds exchanged blissful banter between branches, and the wind carried the sweet scent of earth as we made our way peacefully toward our destination.No foreboding signs of impending doom. Not even a black cat. The GPS took us down Paralee lane and led us straight to a dead end. Blocked by a slapdash rusted gate-- there was no way to pass it. At first, I thought, "Is this part of the tour?" "Is it supposed to look this forgotten?" I said aloud. No, wrong again. Glancing down, the GPS directed us to another entrance. Apparently Paralee has two access points.The second entrance, serene and passive, was parallel to a scenic golf course. So...no cold moon or violent wind. Just a 9-hole emerald escape. 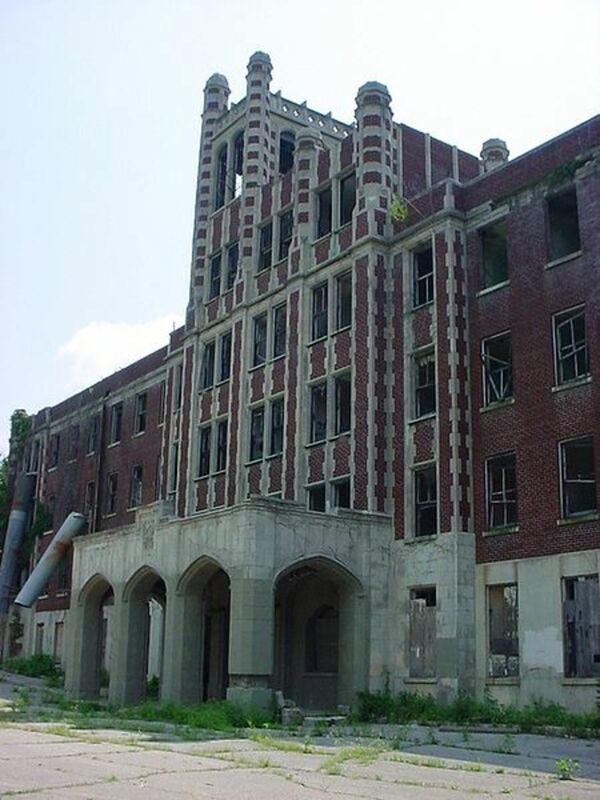 As such, agreeably, and without incident, we followed the narrow road toward Waverly Hills Sanatorium. Arriving at the top of the lane, there was only one sign: It read, "Stop." If I wasn't such a skeptic, I may have taken that as a literal sign and hightailed it out of there. Nevertheless, I turned my gaze to the old broken Sanatorium looming in the background. Against a periwinkle sky, the tumbledown brownstone was saturated in history in which I wanted to marinate. Just then, a regular guy in a regular black coat approached the vehicle. He checked our names off the list and instructed us to park in the lot with our vehicle headlights facing away from the building. Upon parking, all visitors were informed they could take pictures of the building now, but not after the tour. 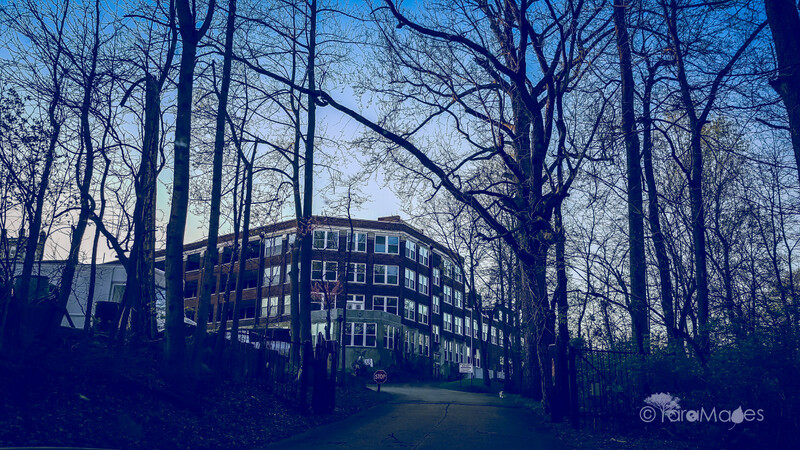 Quickly, I whipped out my cellphone and began snapping shots of the sprawling sanatorium. In the waning light, the building looked more tired than haunted. Defeated almost. 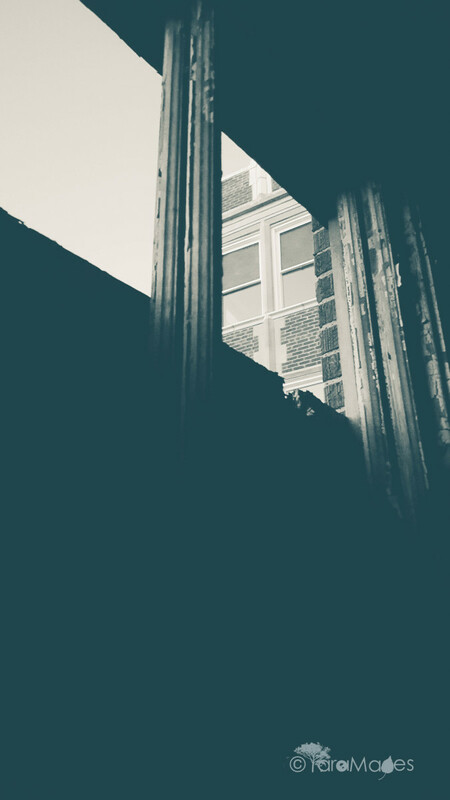 Although the bottom floor windows had been replaced, the upper floors on the open balcony were left as they stood when each soul escaped its failing body. 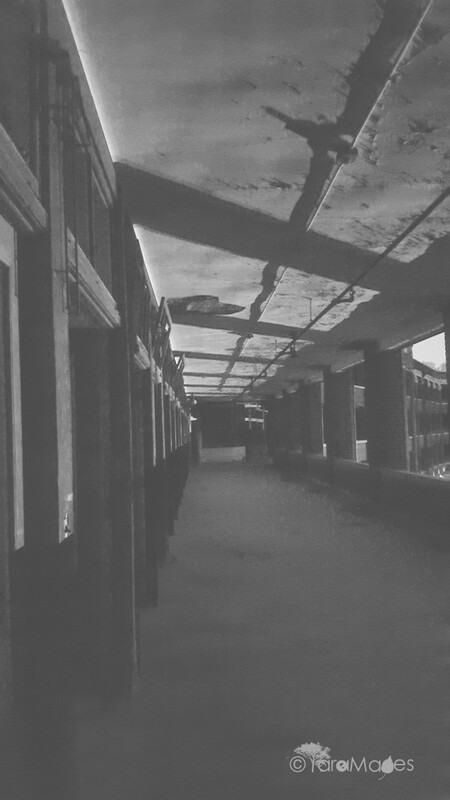 The gaping mouths of the outdoor portico seemed to scream-- mimicking the cavernous mouths of patients who laid gasping for fresh air --as they slowly succumbed to the suffocation of tuberculosis. Ripped abruptly from my macabre contemplations, we were ushered to a group gathered by the corner of the building. 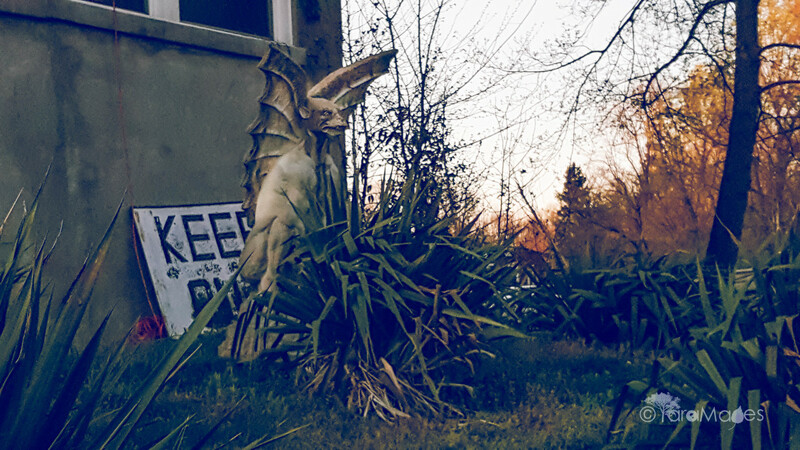 We were greeted by a ghoulish gargoyle who appeared mostly benign. We followed the group and were led alongside the long red brick walls of the main building to a separate one sunken in the ground. After proceeding down flight of stairs, we pulled open an old white door riddled with cracked paint and were guided to a waiting area merged with a gift shop. 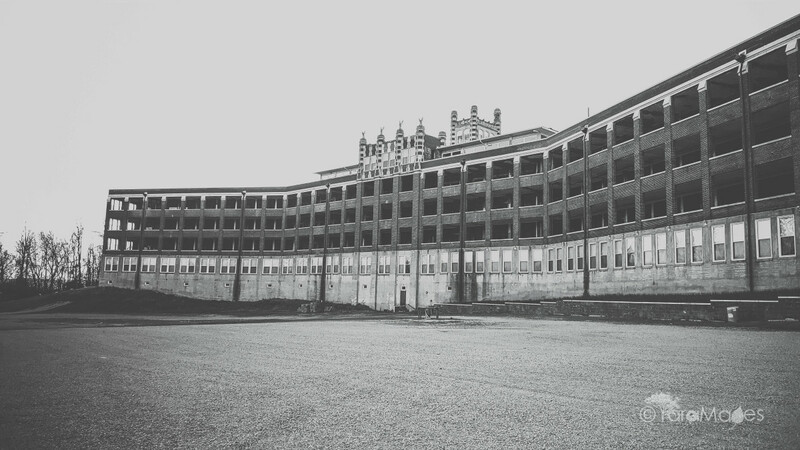 Old photographs of the Waverly Hills staff and images of staged procedures hung on the walls; serving as a remorseful overture to the woeful tales we would soon learn. Suddenly, a pensive cat seated on the gift shop counter approached me. He purred loudly and tread lightly as if to say 'I come in peace.' A collar was fastened around his neck with a tag revealing his name, "Casper." He wound his soft body between my arms and hands, and pressed against me, as if he was reassuring me everything would be OK. He may have been the sweetest 'ghost' I've ever met. After viewing memorabilia and indulging Casper, the crowd was amassed by guides in front of a small innocuous door. They separated us into two groups. 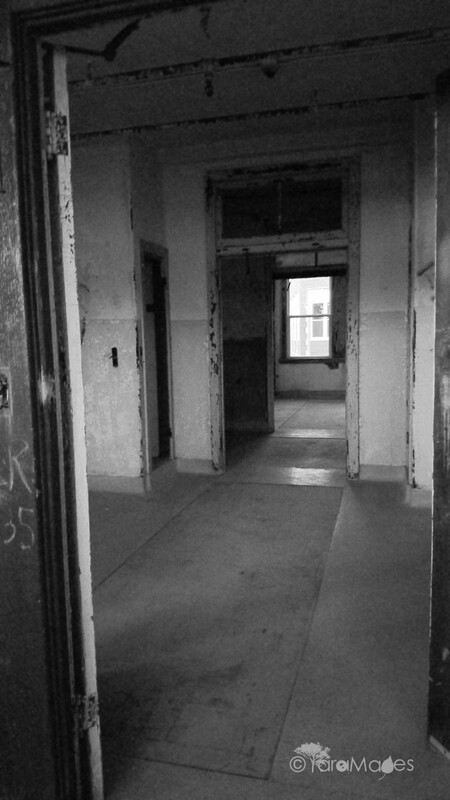 As our guide swung open the old door, we slowly began shuffling our way down an elongated corridor. The passageway was rich with the overbearing odor of mold. Our eyes adjusted slowly to the poorly lit hall that resembled an abandoned subway tunnel. Small incandescent light bulbs hung loosely from the ceiling like luminous earrings. We gathered in front of a stairway as the tour guide began his speech. He briefly covered the rules, expectations, and began the tour by leading us to the stairway. We began our journey making our way up a steep staircase toward the first floor. The hallways were shrouded in darkness. The darkness held hands with the dankness in the air as we congregated in the first of many Waverly Hills' hallways. In this one, we learned the sanatorium's history. 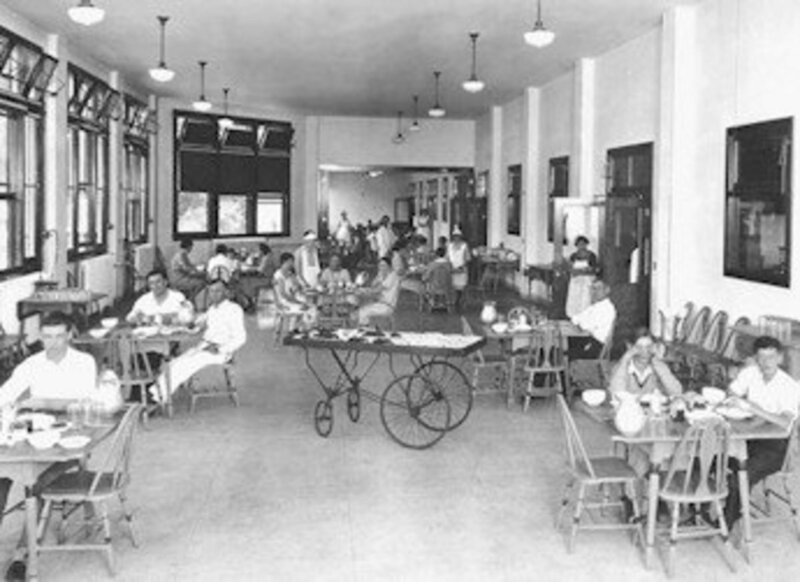 The original Sanatorium was built in 1910. 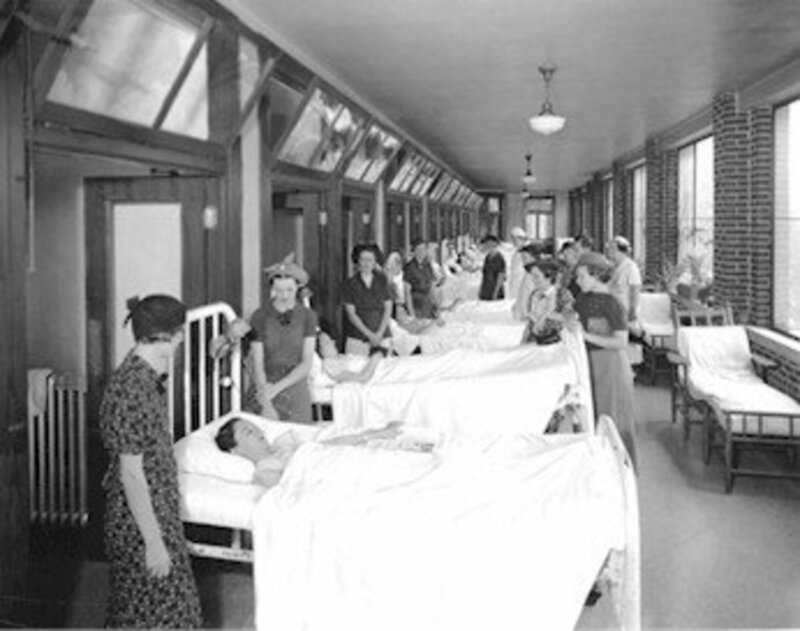 When tuberculosis ravaged Kentucky, the need for a larger facility prompted the construction of a new Sanatorium. The property broke ground in 1924. It was opened in 1926 to accommodate the growing number of people infected by the white death. Doctors did not have medicine to treat the sick, so they experimented on the ailing to uncover an effective cure. Cold fresh air, a solarium with UV treatment, and intentionally collapsed lungs were the go-to options. Failing in saving patients, the death toll surged so high that a body chute was created to haul away the dead. In 1943, streptomycin was identified as effective treatment and by 1961, the TB treatment facility closed, only to be reopened as Woodhaven: a geriatric treatment center for aging patients with dementia. 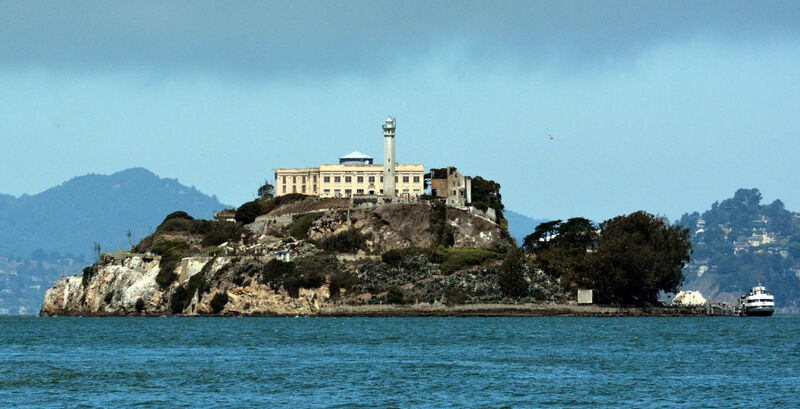 It was shut down by the state in 1982 due to the mistreatment and neglect of patients. 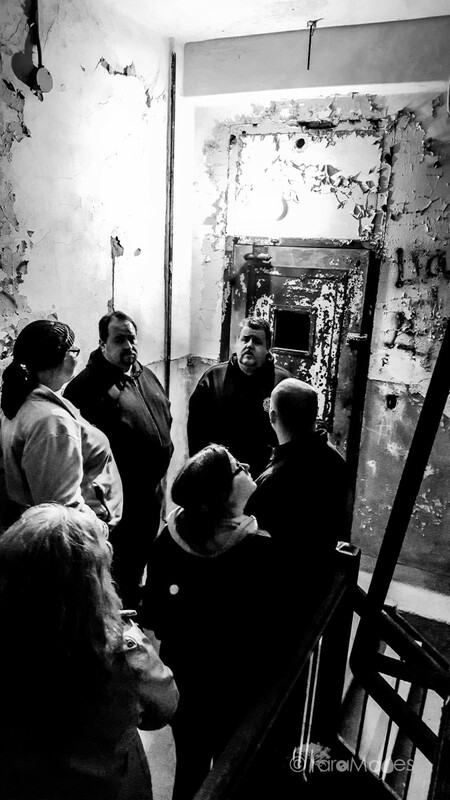 The group followed the guide's lead to the first floor morgue. Modest in space, people in the grouped uncomfortably close to one another. In the back corner of the room, a discrete elevator stood like a second class citizen waiting for orders. The guide directed our attention to it as he announced it was used to transport the deceased to the body chute. The guide then shared tales of paranormal activity some experienced in the room. Restless souls that liked to toy with flashlights. As he detailed the unearthly interactions my chest suddenly felt as though an anvil dropped upon it. Wheezing and gasping for air, my thoughts of the cause gave way to anxiety. I wanted to run but I was trapped between bodies of those standing far too closely. Blood rushed to my face bringing heat it its wake as my hands turned cold and clammy. The cause of this reaction was not a failed attempt by the supernatural to possess my body. I believe the mold in the air was so intense, it was like breathing water through a blanket. Just then, as I rationalized the panic as my response to the mold and assuaged my heartbeat to a normal pace, I pondered for a moment that this feeling of utter panic and suffocation was what these patients felt right before their souls were evicted...right before their bodies were taken away. I let out a sigh of relief when the guide announced we were moving on to the second floor. I had hoped going upward and away from the mold-ridden air, it would alleviate my discomfort. We advanced to the outdoor portico of gaping mouths that greeted me when I first arrived. Here, the guide shared a woeful story of two sisters: Lois and Audrey Higgs. They both suffered from tuberculosis, but only Audrey survived to leave the sanatorium. We walked toward the sisters' room but stopped briefly at an open closet. 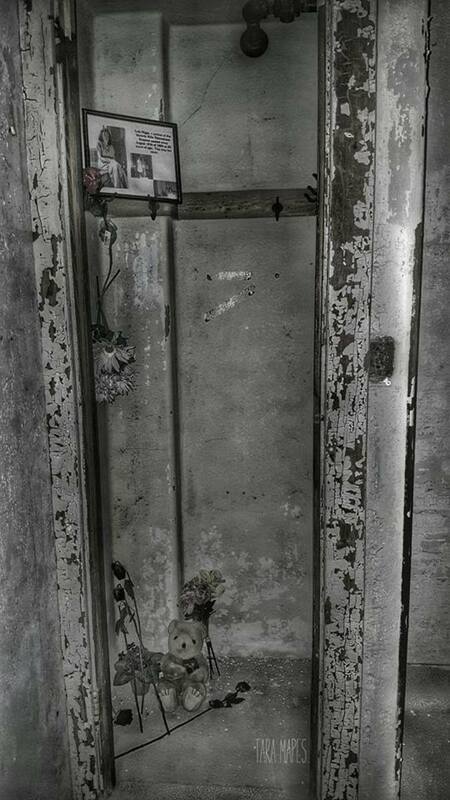 Like a vulnerable open tomb, perched inside the small space was a photo of Lois, flowers and a lone teddy bear. We were told visitors bring these gifts and leave them here in hopes to comfort Lois during her eternal search for Audrey. I imagined spending countless days praying desperately for survival. And that with each cough, with each wheeze, with each breath constricted by iron lungs, her hope set slowly like the sun. Like her soul. I ruminated Lois' reaction when Audrey recovered and announced she was leaving her side. She must have been torn between joy and envy. She must have been consumed by fear. However, of all of the emotions that colored her mind, Lois' love for her sister was the one that prevailed. For it is said, to this day, she saunters through the sanatorium still searching for Audrey. Many claim to have heard Lois whispering her sister's name. We were led further back into the room of the Higgs sisters. With enough space for two hospital beds to fit snugly against the bare concrete walls, there was but one token of hope within the tomb. Behind me, against the back wall was a partially boarded window. I closed my eyes briefly as I imagined myself with the sisters. In the small, cold room one could only look up to avoid reality. I peered upward through the window and into the night sky. The blinking bellies of stars against a cerulean night sky was certainly an escape from lungs imprisoned by imminent death. It was a promise. It was proof, that something was out there, something bigger than they; something mysteriously hopeful. I wondered how many times they gazed through the window at the man in the moon and prayed a for miracle to survive their misfortune. At that moment, they didn't know how their story would end...they were alive. They were young. They believed. And so, tucked away in a living tomb, they trudged on with mere hope and sisterly love fueling them as they peered back at the man in the moon..waiting. Pulled painfully from my reverie by the guides' insistence to stay on time, we were led to the solarium. Here, the guide explained, patients were exposed to the UV lights similar to the ones we might find in tanning beds. These illuminations were showered onto patients with the endeavor to rid their lungs of the white death that was feasting upon them from the inside out. Although the glowing beams were not as inviting as the moon's hope, I surmise any treatment offered by doctors spawned faith they would live yet another day. Shuffling on, we were ushered to the open mouths of the portico where patients received fresh-air treatment. Here the patients were rolled outside in their beds to receive Mother Nature's treatment of fresh air. In the warm arms of spring and gripped by the bitter claws of winter, they were left out here.To breathe. To live. To die. Gazing down the long corridor, I imagined the patients eagerly following doctors' orders with credulous fervor. Ensconced in snow with icy tremors rocking their limbs, they persevered because they believed this punishment might have been the payment needed to procure an answered prayer. Unaware of the bodies being marched like ants down the body chute to be forever forgotten, they had bliss. And ignorance, indeed, was their bliss. Maybe they endured as they chatted about the weather, the day's food, and their families they couldn't see because of their contagious illness. Maybe they shared aspirations of what they were going to do when they got 'out'. 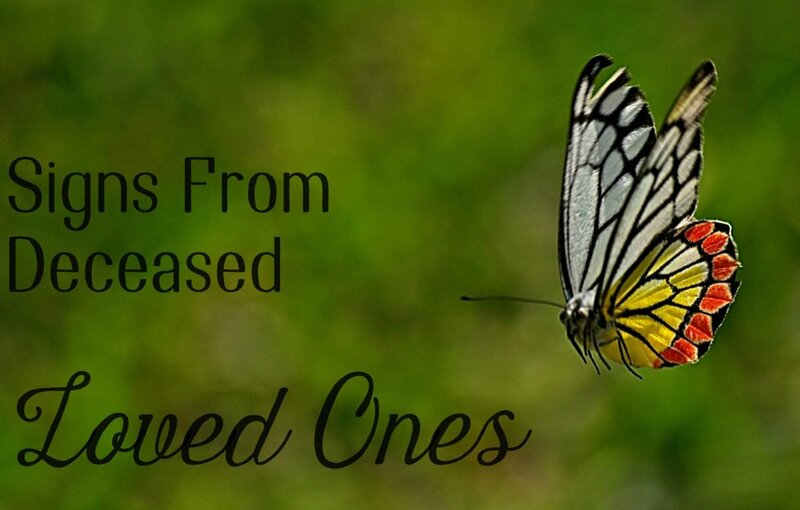 Bonds were formed between patients solely on the common ground they shared: the same fate. I like to think they didn't lament the effort it took to breathe. They didn't let self-pity consume their thoughts. Instead, they held firmly onto the memories of their families. These memories that would be etched in the path toward their final destiny. Death embraced by memories. The next stop was the fifth floor. This floor is purported to be the most illustrious for its paranormal activity in room 502. 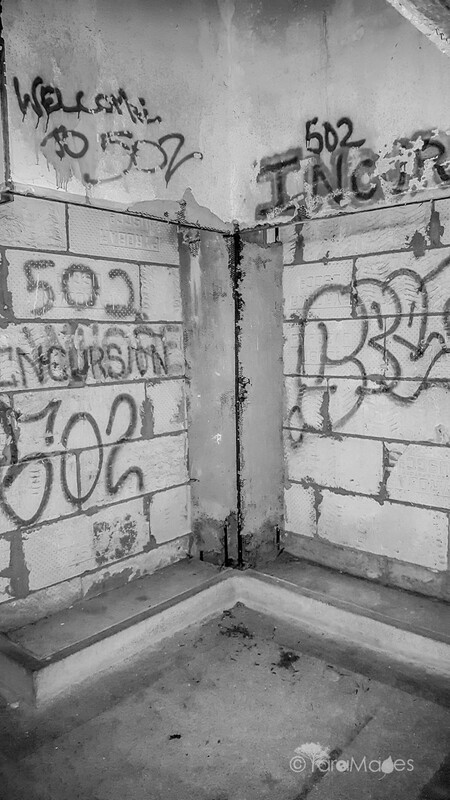 Room 502 is told to be location where a nurse, who had contracted TB from the patients, was found hanging in 1928. Some claim she was pregnant by a doctor. Unmarried and dying from TB, she took her life and that of her child. The guide shared a story of a deceased baby found in the parking lot after it was swept through the pipes of the bathroom. This story inspired speculation that the nurse may have gone into labor, given birth to a live or stillborn child, and subsequently committed suicide. 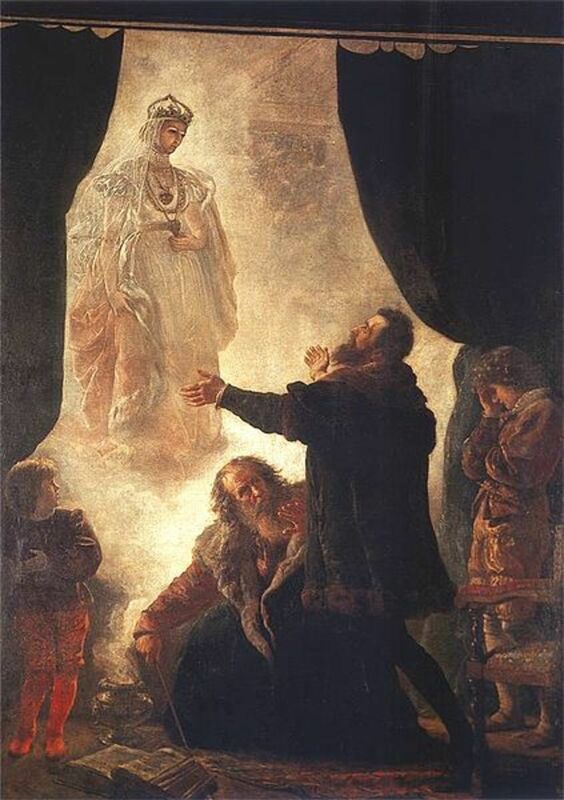 Darker versions of her demise are theories that the married doctor with whom she was having a torrid affair staged the suicide after an unsuccessful abortion attempt to rid himself of the evidence of his adultery. Some claim to have heard warning screams by her ghost to 'GET OUT!' Others allege pregnant women, knowingly or unknowingly, have suffered severe abdominal pains while in room 502. Another death is said to have taken place in 1932 when another nurse took her own life by jumping from the room after seeing the dead nurse. I felt no presence or pain while visiting this room. I was affected, in a way, though. I walked over to the area where the nurse took her life. 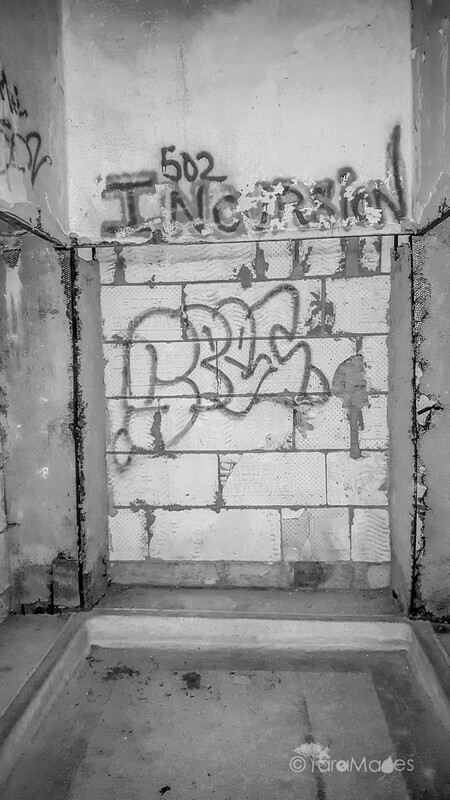 On the walls, marked by graffiti, was evidence of the notorious stories of this nurse and her final moments. Interestingly, this story-- though wrought with details and suffering, the nurse was never referenced by name. Why Lois Higgs' benevolent existence warranted a reference by name and this nameless nurse's woeful end did not, troubled me. Although the stories are saturated with the supernatural, I felt nothing more than sorrow for these souls. The next destination was the fourth floor. We traveled down a flight of stairs skirted by rusted rails. We were asked to stop in front of an old, corroded door. The guide shared a story of trespassers who learned a lesson from the 'other side'. 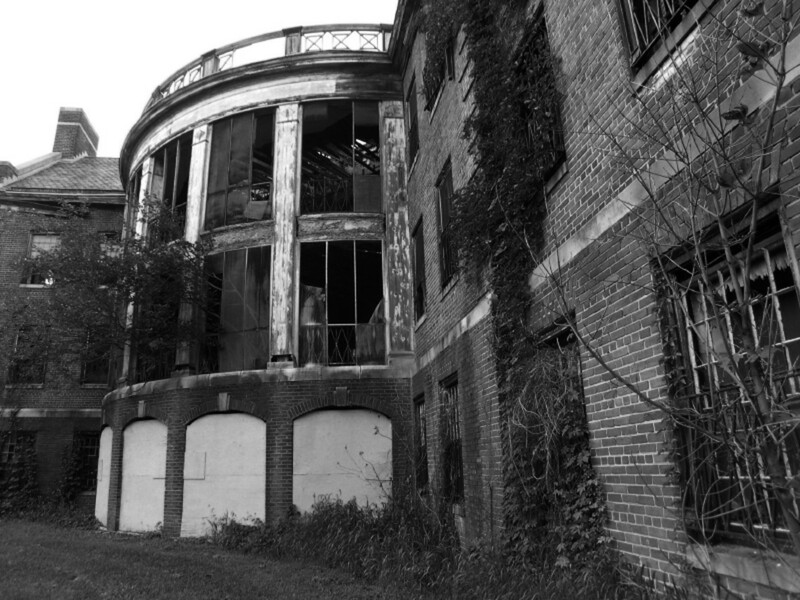 A few years ago, teenage boys broke into the Sanatorium with the help of a hatchet. After the workers closed up and went outside, they heard screaming coming from inside. "Help! They won't let us out!" the desperate shrieks echoed into the night. The workers rushed inside and located the source of the screaming behind a door. It took the force of several people to pry it open. Shocked and visibly shaken, the young boys anxiously told the workers that they were attacked by "shadow people". They said when they saw the dark figures and attempted to run, invisible hands held them back. The boys said they frantically tried to open the door to escape, but it wouldn't budge. Turning to their hatchet, they attempted to break down the door by smashing the hatchet head into it over and over. At that moment, the guide swung the door ajar and revealed several long cavernous holes matching the form of a hatchet head. The guide then said that was where we were headed. I'd be lying if I didn't admit I felt fear wicking up the back of my legs and sinking slowly into my skin, into my mind. We were lined up against the long dark hallway. 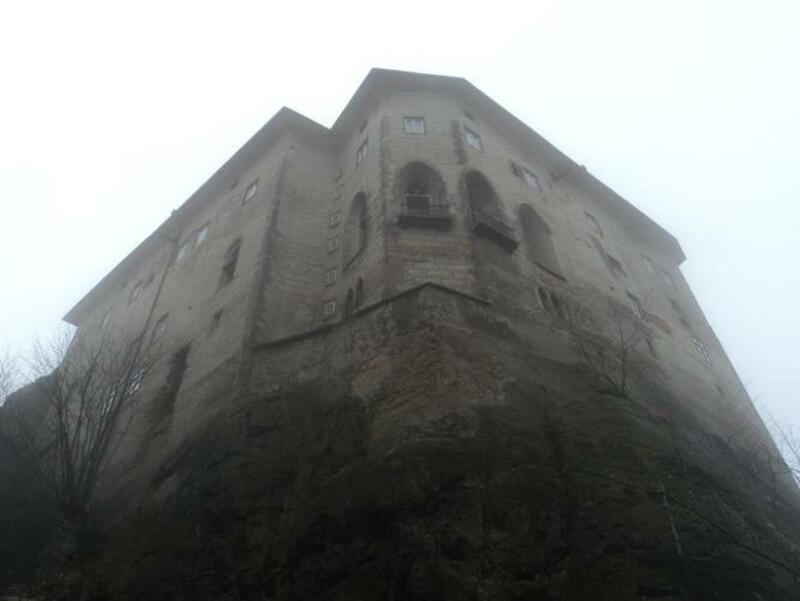 Here, no photography or lights were permitted. Open doors flanked the the passageway, soft light pouring out of each. On both ends of the corridor, a window was visible in the center. I turned my head left, and then right. The hallway looked like a checkered tunnel. We were told to let our eyes rest and then stare just to the left or right of the light source emanating through the windows on either end. Volunteers were asked to walk halfway down the hall stop. We were told to focus our eyes to the right or left of the light behind the person. That's when the shadows began to move. Eerily they moved. We were broken away from the crowd and taken down the other side of the hallway by two guides.They asked us who wanted to walk down the other hallway. Terrified and confused, we asked why we were being taken away from the group. Since we were originally at the back end of the group and couldn't see as the two guides explained they were helping us meet the shadow people. Great. Both of us cowardly declined to walk down an old corridor of darkness on the fourth floor to meet shadow people. Thus, one of the guides agreed to demonstrate. He took several steps as darkness cloaked and then consumed him. I fixated my eyes to the left of the light. Suddenly, it appeared as if a curtain was pulled over it and then quickly peeled back. Next, I saw silhouettes of people peering out from doorways. They were clearly darker than the darkness in the hallways. They emerged and slowly sauntered between rooms. They glided from side of the hallway to the other. I let my eyes bounce from side to side as I continued to identify what appeared to be walking shadows. Just then-- a door slammed. I jumped and let out a yelp. 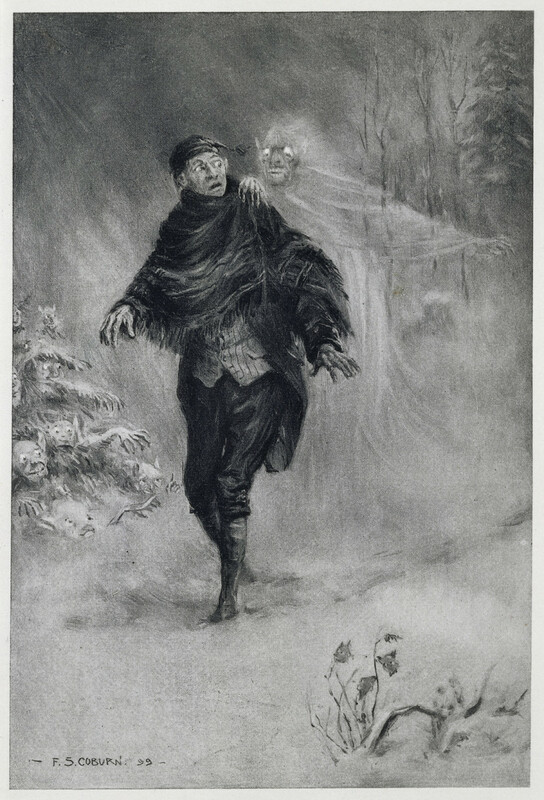 Instead of selling a ghost story, the guide simply said it must have been the wind. Then..... we heard footsteps. Small pitter-pattering footsteps. The guide whipped around quickly and called out that we had a visitor. Although the experience was mystifying, as I watched the shadow people dart between rooms, it brought me back to my childhood, and to what I often see at night in my own bedroom. Shadows appearing to move or take shape. The explanation for which is often achieved through science. Human vision in general, is limited in how it processes all the information our eyes take in. This results in an inaccurate translation by the brain and resulting phenomena we think we see. The way our retinas view black and white, or shadows and light, in addition to our brain processing can easily explain the well-spaced doors with light cascading through them. They created patterns and focal points that caused our perception to be nothing more than an optical illusion. 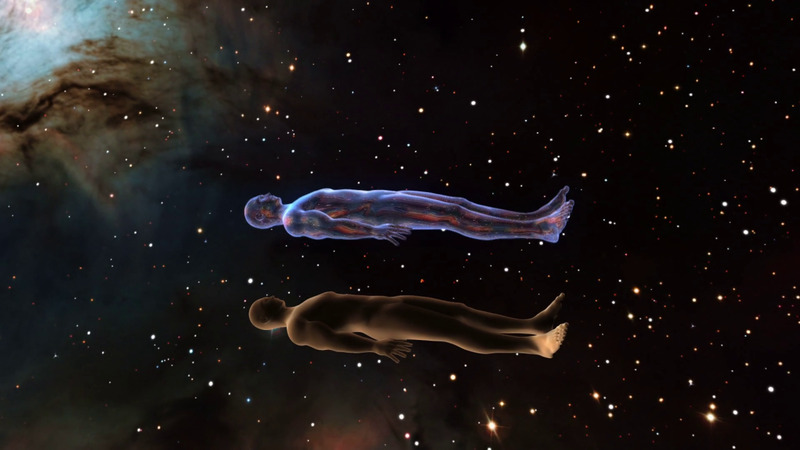 But we're headed to the body chute next. That has to have some of you paranormal paramours excited. We made our descent down the stairs and were led outside the sanatorium. We trailed around to the back back of the building and stopped at another submerged door. This was the body chute. Created to covertly move deceased bodies so death was not on display for other patients to see, it was a tunnel of the dead. And it smelled like it. We pushed forward over a threshold and down a small slope. The acrid stench of rotting was everywhere. Whether it was from old water, or an old whisper from souls that escaped bodies ripened with death, the air was saturated with it. "Death is clinging to me", I thought. We were guided to the opening of the tunnel. Peering down into the abyss of afterlife it was a literal tunnel of death. There was no light at the end of it. Just darkness. A black hole of nothingness. It stared back flaunting its endlessness. It simply had no ending. Isn't that what every person wishes for in life? One with no ending? It was an eternal aperture filled only by death. It's appetite never satiated. Was it still hungry for bodies after all these years? The thought raised the hairs on the back of my neck as I reflected on my own mortality. The guide informed us the tunnel was usually closed this time of the year, but he'd permit those who were willing and able, to traverse downward a few hundred feet. A few people hung back while we moved forward. 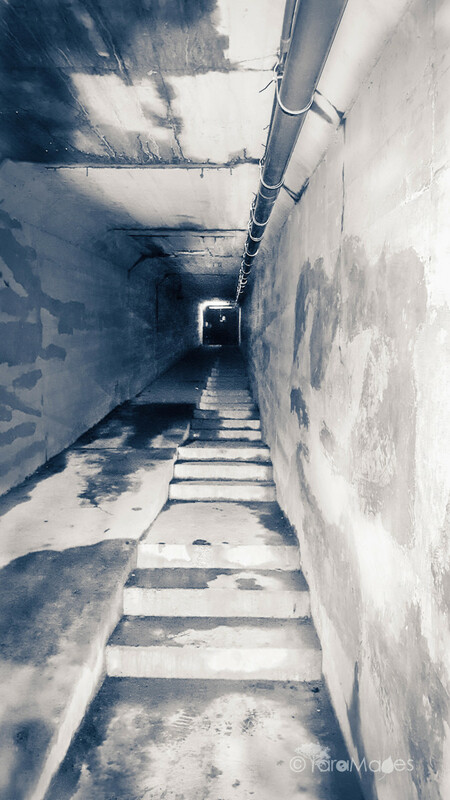 As the guide described the long walk by the sanatorium employees who pushed stretchers of dead bodies, I continued to stare down at the tunnel. Its black eye peered back. It was pitch black and perfectly round. It was the literal period that marked the final chapter of so many perished patients' stories. I imagined what it would have been like to be the person who was responsible for steering the dead down this stretch of stench; a silent stage for a soul's final act. I wondered if with each step he took, he left behind him a little hope for the afterlife. How it must have drained him to observe death daily. How he could possibly endure being the hopeless head of Hades. My gaze with death's eye was broken when the guide announced the tour's end. I eagerly ascended the stairs. Away from the ominous opening. My mind was saturated with the reality of life's promise to end. But mine hadn't. And I couldn't help but feel guilt as I left with my life-- when so many had not. We made our way to the parking lot as the tour concluded. As we approached the vehicle, the warning not to take photographs rang in my mind. I looked back at the building in spite of my fear for some sort of retribution for my defiance. As I glanced back, I saw something I hadn't seen before. A sadness hung heavily upon the shoulders of the building. A sorrow for what it had witnessed. Guilt for being the stage upon which souls suffered until their flames were snuffed out. A building that would never have the escape from misery that death offers. I felt it staring back at me, as if it were reading my sorrows, too. As I turned to go...in a way, Waverly Hills waved goodbye. And I wished it the peace it so deserved. Your account is far more haunting than any ghost story to come out of there. Your writing is vivid and creates in me a sorrow for the poor souls that died there. Wow Tara, what an amazing story. I actually imagined as I read that I was there with you on the tour. I am a big believer in ghosts. I used to watch the show, Ghost Hunters, every week. As I was reading you were in a room or walking the hall I had this creepy feeling. Wow, thanks for sharing such a powerful story. Great blog. I feel some of the pains and fears that the patients had to have gone through. I grew up about five miles from the TB Sanatorium just south of Custer South Dakota. It still has the spookiness that you felt in your tour. They want to make a tourist place to stay out of it. I doubt the dead will let anyone rest in peace. Thanks for the great read. Fascinating and sad. A few decades back I used to be a member of a parapsychological foundation---quite into all that. Had some experiences which made me leave it, but forever puzzled. Thank you for reading Kathy. I have not heard of the cripper. The slithering cripper. My skin is crawling! Living just down the road from this beautiful and sad place I have toured this hospital. I saw many unexplained spirits. One of which is called the cripper. He slithered along the walls in the dining area. If anyone gets a chance to tour this hospital. Do so. The history alone is worth it. Thank you for the article. Thanks for reading Aiden! When you go, talk to the guide about the body chute, I believe both of them are the owners of the property. They mention the body chute's genesis and function several times during the tour. It should lead to an interesting conversation between you two! Well written blog. However i have to make a correction, the "body chute" or "death tunnel" as its commonly known as was actually never designed for that reason. It was actually a service tunnel for supplys and was used as an access way for staff during the winter months.when access was limited due to snow. But yes it was later used as a body chute. 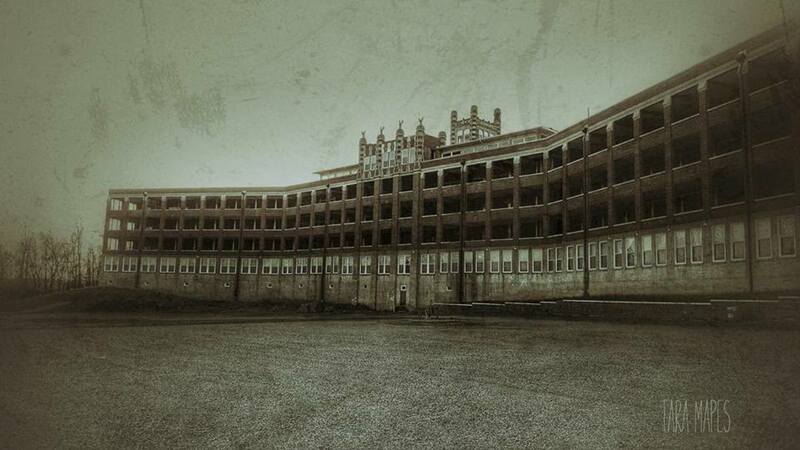 Anyway great blog, ill actually be spending 2 nights at waverly hills in a months time. What a well written hub. I love the way you portrayed the happenings surrounding this place. You offered all possibilities and outcomes. I think you have a true gift for writing. Dana, agreed true stories are the saddest and possibly scariest because it speaks to our own reality. I have seen several documentaries as well as on ghost hunter shows, but your first hand account puts them to shame. Fantastic both from an information standpoint and from the way you've spun the tale. It was impossible to stop reading. Nice job. Seemed as if this would have made a great scary movie. Unfortunately it was true. Good write and even better read. Great writing about the intriguing history of this dreary building. You put great effort in this article which pays off in great reading. What a great hub. Interesting but sad to think of what the patients experienced.. And the body chute. Very well written and great photos made this an enthralling read.